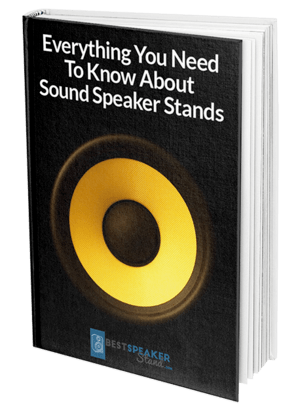 Download our FREE eBook guide to learn how you can buy the best speaker stand to improve the quality of the sound coming from your speakers, and in a way that if safe for your ears. Speakers are complicated pieces of equipment. No one ever said that acoustic engineering is a simple discipline, and this is why some of the most expensive sound systems can cost you not only thousands but tens of thousands of dollars. Today, we are going to be looking at one of the more crucial characteristics of speakers. While there is nothing wrong with being content with leaving the specifics of this discipline to those who are more qualified, you will find that there comes the point where you should know a bit. Understanding more about your speakers and your sound system ensures that you will be able to pick the best set for your needs. The matter (or more accurately, matters) that we will be examining will be speaker frequency response, as well as room response. Both of these issues are critical to picking the best type of speaker for your needs. We will also be looking at which of these is more important, and some ways that you can measure response. 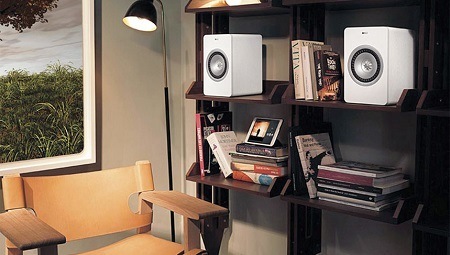 The frequency of sound is one of the most integral parts of speaker design. You will find that the range of frequencies which can be played by your speakers is one of the most critical aspects to take into consideration before you make your purchase. Frequency and intensity are two different aspects that should not be confused. You can have a high-frequency sound at a low intensity and a low-frequency sound at a high intensity. Intensity merely corresponds the volume of the sound that you hear, as opposed to the type of sound. A sound which features a high frequency will be emitted from speakers that are made for a better treble listening experience, such as tweeters and horns. On the other hand, if you are listening to music which is heavy in low-frequency sounds (bass), you will want to invest in an audio system with powerful enough woofers. Keep in mind that there are not only these two extremes. You also have mid-frequency sound, which makes up quite a bit of your music. While this is usually not as crucial to your listening experience as your highs and your lows, your mids will still play a significant part in your listening experience. Sound frequency dictates the type of sound that you will hear. In essence, it is similar to the different wavelengths of light that our eyes can detect. Since violet is at the top of the spectrum, you will find that it corresponds to a higher frequency, it would be similar to treble. On the other hand, since red is the lowest on the spectrum, it corresponds to bass. You can have either dark violet, bright red, light violet, or dark red. This corresponds to how you can have quiet bass and loud treble. It is critical to understand the distinction between intensity and frequency. When the makers of speakers cite a frequency response range, they often give you a range of frequencies which go from one frequency to another. This is often an inaccurate measurement. While a speaker can theoretically be capable of playing at a particular frequency, there is no guarantee that you will be able to hear it. Speakers makers will often cite frequencies in their range that claims a good frequency response, but you will find that the speaker can sometimes be unable to play audibly at a claimed level. Just because the driver in your speaker is moving and creating sound at a certain frequency does not mean that it is loud enough for you to hear it. Whenever a rating of frequency response is given, it should be accompanied by a range of decibels that shows how much of a difference there is between the upper and lower ranges of the sound. This ensures that the buyer will know that the sound is still audible throughout the whole range. If you have ever heard of acoustic response speakers, the term is a bit of a tautology, as all speakers have an acoustic response; otherwise, they would only be capable of a single tone. Room response is a bit of a muddied term, as it is used to refer to different subjects by varying authorities. It can be anywhere from a synonym for frequency response, to the manner in which your room reacts to varying frequencies. For the purpose of this article, we will be explaining the latter. Different room setups make for various ideal frequencies. Not all of rooms can be anechoic chambers, so it is important to optimize the speakers which you use for a particular setup. For example, if your room amplifies treble, you may wish to tone it down and up the bass, or vice versa. You have a few options available when the time comes to measure room acoustics. You will find that it is a relatively straightforward process that only requires your speakers to be properly set up, a certain piece of software, and a microphone. You do not need to perform a high-quality sound test to get an accurate measurement of response. Most types of speaker frequency response test are made to be reasonably affordable. If you have a basic audio setup and you already have a microphone, you can accomplish this test for under 50 dollars. There are even frequency test apps that can be purchased for smartphones that will give you a quick idea of your room’s response for an affordable price. This does not have to be a complicated endeavor, although we understand that it may seem that way at first. We hope that we have been able to help you better understand room response and frequency response. This subject is not as complicated as it may seem to those who are just getting started in the audio domain.